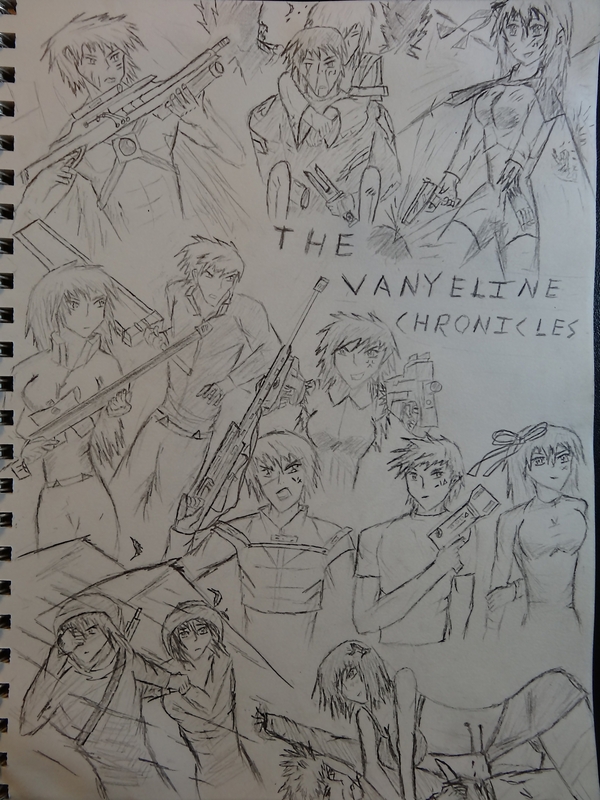 VayneLine Chronicles is a book that is a collection of novellas that all take place in the VL universe. This listing has every character in the stories, even though the menus above are broken into the characters based on the story they come from. The first link in each heading brings you to the story section, the ‘characters’ link brings you to the list of characters simply for that book. Huria (‘Ria’) – A young communication officer who is one of the three survivors that has to figure out what happened to the colony. Bray – A smart, tough miner who is the first of the three survivors to be Marked. Dixes (‘Dix’) – A skilled guard for the mine, understands weapons and tactics and guides the other two. Brown – An overweight miner who was the first one Marked and killed, starting the rumors. Raislaw – The colony leader who was more concerned with operations than her crew’s deaths. Railith – A calm, collected female Knight, keeps Dirx out of trouble and secretly likes him. Skilled with rifles. Princess Giland – Ruler of the adjacent kingdom, thought to be source of the enemies. Pilko – A senior Knight who has been recently killed. Trego: Recently fired scientist who is stuck in a time loop; possesses a brash but natural intellect, arrogant, quick to anger, and doubting. Rinnai – Flirty, skilled fighter who is Auriex’s partner. Would like a dog one day. Pacheko – Auriex’s investigator friend. Flirtatious and strong, wary of Rinnai. Leole – Auriex’s girlfriend, knowledgeable about biology, the team scientist.